What's The Difference Between Horsepower & Torque? Which is better, horsepower or torque? Two words that are often stated in the car community, but often misunderstood. This video seeks to clarify the difference between the two, without silly analogies like "horsepower is how fast you hit the wall, torque is how far you take it with you" (which, by the way, is highly inaccurate). Torque is a force acting at a radius, while horsepower simply incorporates time into the equation. 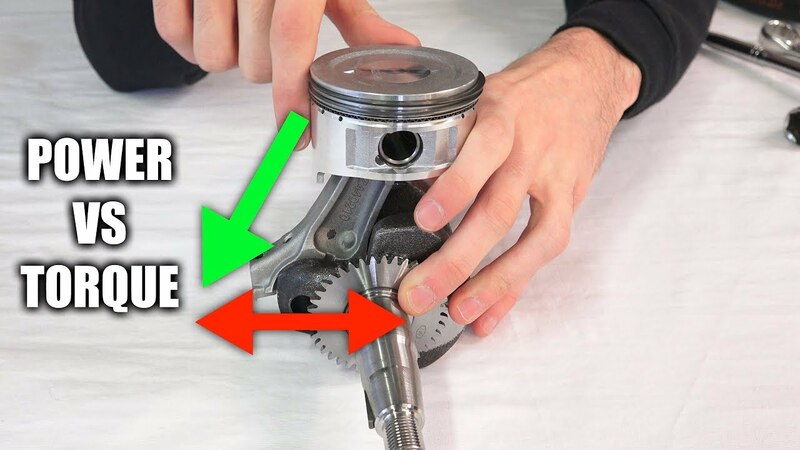 This video will discuss the differences, how each applies to internal combustion engines, how they relate, what peak torque and peak horsepower actually mean, and how to analyze torque and horsepower curves. Finally, what's more important for acceleration, a car with lots of power, or lots of torque? Let's get technical. With the context of an engine: Power = Torque x Angular Velocity. In imperial units, this translates to Horsepower = Torque x RPM / 5252.